Email groups are handy for emails that need to be sent to multiple email accounts. For example, you can set up a 'sales' email account that will be received by every salesperson in the company. 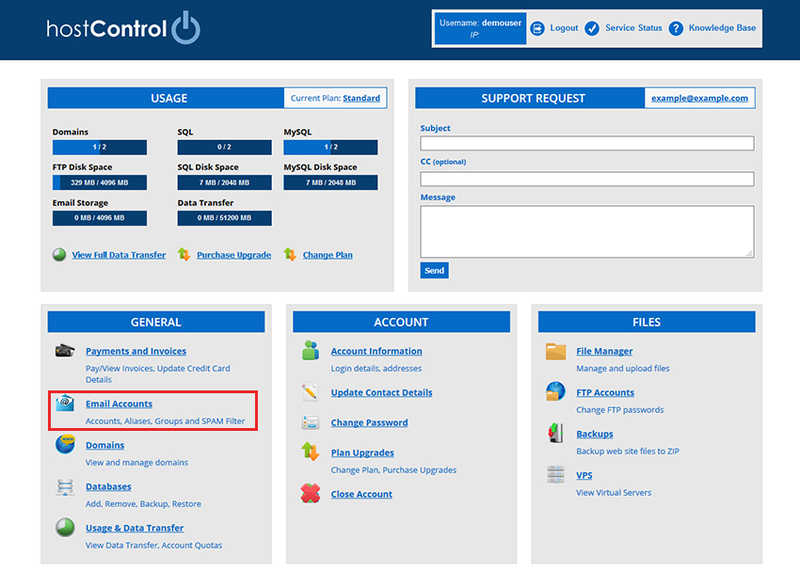 Login to hostControl and select "Email Accounts" from the menu, underneath the "General Section"
Select your domain from the drop down menu and then select the "Email Groups" tab. In the Email field, enter the email alias for your group. Any emails sent to this address will be forwarded to the group email accounts. Then in the recipients box, enter the email accounts for your email group. One email address per line. Once done click Create Group to save. Note: The Email used for the Email Group (in this example - sales@example.com) needs to be an email address that hasn't been created already via the Email Accounts tab. Once saved you can now view the newly created email group and begin using it.